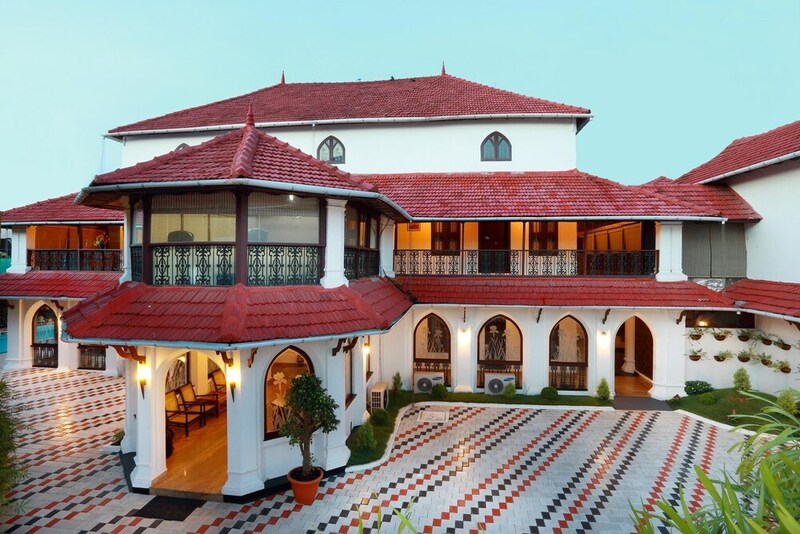 Situated near the beach, this hotel is 0.1 mi (0.1 km) from Jain Temple and 1.4 mi (2.3 km) from Fort Kochi Beach. Mattancherry Palace and Paradesi Synagogue are also within 15 minutes. This hotel features a restaurant, an outdoor pool, and an outdoor tennis court. Free continental breakfast, free WiFi in public areas, and free self parking are also provided. Additionally, spa services, 24-hour room service, and a meeting room are onsite. All 15 rooms offer free WiFi, 24-hour room service, and flat-screen TVs with satellite channels. Premium bedding, coffee makers, and free newspapers are among the other amenities available to guests. In addition to an outdoor pool, Spice Heritage provides an outdoor tennis court and a children's pool. The hotel offers a restaurant. Guests can enjoy a complimentary breakfast each morning. Wireless Internet access is complimentary. This business-friendly hotel also offers spa services, tour/ticket assistance, and a garden. For a surcharge, the property provides a roundtrip airport shuttle (available 24 hours) and an area shuttle. Complimentary self parking is available on site. Spice Heritage has designated areas for smoking. Curry Leaves - This restaurant specializes in international cuisine. Start your day with a free continental breakfast, available daily from 7:30 AM to 10 AM. You can order up room service around the clock. Rollaway/extra beds are available for INR 1000 per day. This property offers transfers from the airport (surcharges may apply). Guests must contact the property with arrival details before travel, using the contact information on the booking confirmation. Only registered guests are allowed in the guestrooms. No pets and no service animals are allowed at this property.